Minitokyo »	Kuroshitsuji Wallpapers » Kuroshitsuji Wallpaper: ???????????? Ok..the background i cut/paste...and painting it in some part only..and make some blurr. ay!esta super super lindo! x3 thank u for sharing! i like it! is wonderful! i love this expression of his. Very nice! All this determination... His eye is very well-done, and I like the assorted earring very much! 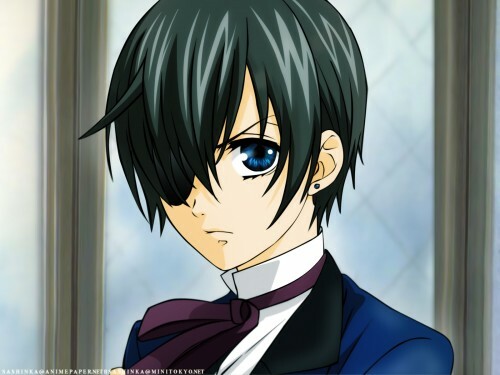 Ciel so cute! thanks for shared! You made his eyes look so crystal clear :3I love this!Thanks for sharing!